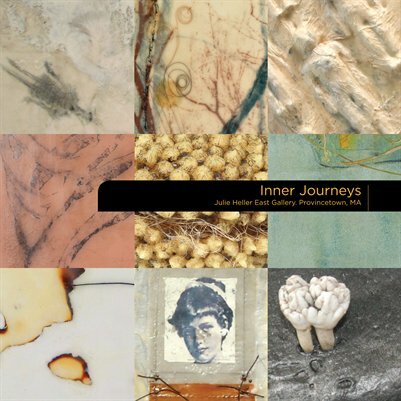 Exhibition Catalogue for: INNER JOURNEYS, a curatorial project for the 8th International Encaustic Conference. June 6th - 19th, 2014. Curated by: Corina S. Alvarezdelugo. Exhibiting Artists: Christine S. Aaron, Francesca Azzara, Binnie Birstein, Helen Dannelly, Patricia Dusman, Sherrie Posternak, Lisa Pressman, Lelia Stokes Weinstein, And curator, artist Corina S. Alvarezdelugo. Opening Reception: June 6th, 2014 at 7pm.